Nathan D. Mandler - Rennert Vogel Mandler & Rodriguez, P.A. 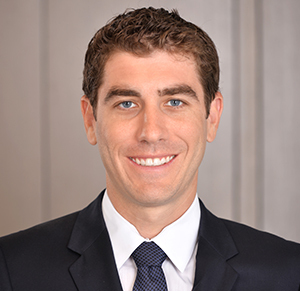 Nathan Mandler represents real estate owners and developers in ad valorem tax matters and eminent domain proceedings. He has experience in valuation of many types of property, including retail centers, office properties, hospitality, industrial, multifamily, condominium buildings, vacant land and tangible personal property. Nathan, along with Robb Udell, created the firm’s condominium tax appeal department. Mr. Mandler and Mr. Udell have filed appeals on behalf of condominium buildings that were improperly assessed and have been able to achieve assessment reductions in excess of $3 billion. In addition to valuation issues, Mr. Mandler handles exemption and classification issues, including agricultural classifications, homestead exemptions, and taxation of low income housing. He also represents clients in eminent domain/condemnation proceedings focusing on property affected by governmental takings. Representation of a one million square foot warehouse transitioning from single tenant to multi-tenant occupancy. Representation of the Florida portfolio of one of the largest banks in the country. Representation of the two largest property owners in the City of Miami. Representation of major Miami developer in achieving reductions in assessment in excess of $100 million over course of two year period. Representation of office portfolio in achieving reductions in assessment in excess of $33 million.